In order for us to give our dogs the best possible home, it is important for us to limit how many dogs we keep at our home. To be a good breeder of quality dogs, however, we need to keep, evaluate, and add quality bloodlines to our breeding program. We like to keep a few of our pick puppies to monitor their growth and development. Some will eventually fit into our breeding program. We prefer to place these pick puppies in guardian homes. A Corgi needs to be a part of the family to develop their full potential. That is why we have a guardian dog program. Will the dog be used to breed? As a guardian puppy grows up, we monitor the temperament, drive, and health. If the dog is exceptional, he/she will be used in our breeding program. Before any dog is bred we will x-ray their hips (at our expense) to verify that he/she does not have hip dysplasia and eyes tested and certified. If the hips are not above average in the breed (good enough to breed), we require the guardian parents to have the dog spayed/neutered and ownership is then signed over to the guardian family. Females are in guardianship until they turn 5 years of age or after 3 complete litters (less than 5 puppies would not be counted as a complete litter), whichever comes first. After 5 years of age, It's a Corgi tail will issue a written agreement to have dog fixed and the guardian family will get her spayed and ownership papers will be signed over to guardian family. Males are in guardianship until they turn 6 years of age. At 6 years of age, after a written agreement is signed by It's a Corgi tail, the guardian family will get him neutered and ownership papers will be signed over to guardian parents. 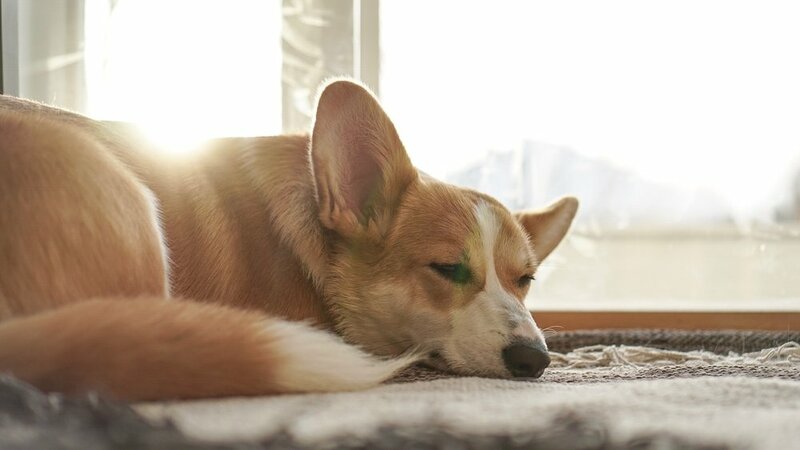 The guardian home program is an excellent deal for the dog, it's a good deal for the guardian parents, and it's a good deal for producing an exceptional Pembroke Welsh Corgi breeding program. It's one of those "win - win" situations for everyone involved. The family receives a quality, top pick dog. I am able to improve the breed by using only the best for bettering the breed. And the reason we initiated our guardian program, the dog lives in a home as a spoiled pet and gets lots of attention. We are giving the dog to the guardian family to raise and love and keep as a member of their family. This program allows local families an opportunity to own one of the best Pembroke welsh corgi available. The family must be approved as guardian parents and agree to abide by our contract of care.